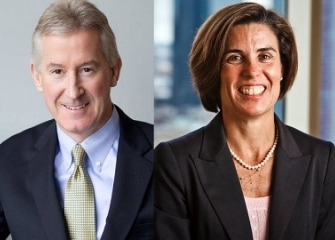 NAIOP Massachusetts, The Commercial Real Estate Development Association, has announced that it has named its 2015 Board Management Committee, led by Chairwoman (and 2014 President) Marci Loeber of Griffith Properties and President Steve Marsh of MIT Investment Management Company. The Committee oversees the Chapter’s Board of Directors. Incoming President Steve Marsh is Managing Director of Real Estate for the Massachusetts Institute of Technology Investment Management Company, where he manages over $1.5 billion in real estate investments. Steve is overseeing development in Cambridge’s Kendall Square, the model of a successful business/government/academic development plan and collaboration. While his chief responsibility involves the creation and maintenance of value for the Institute’s endowment and pension funds, his responsibilities extend to all aspects of real estate investment, acquisition, development, disposition and portfolio management activities relating to these portfolios. NAIOP Massachusetts also announced new additions to its leadership with the 2015 Nominees to the Chapter’s Board of Directors. Kimberly Sherman Stamler, Chief Operating Officer at Related Beal and Sara Shank, Managing Director at Beacon Capital Partners, both rising leaders in Boston’s real estate community, will join the Board this year. This entry was posted in Local News, NAIOP News and Events by Tamara Small. Bookmark the permalink.